Maryland Gov. 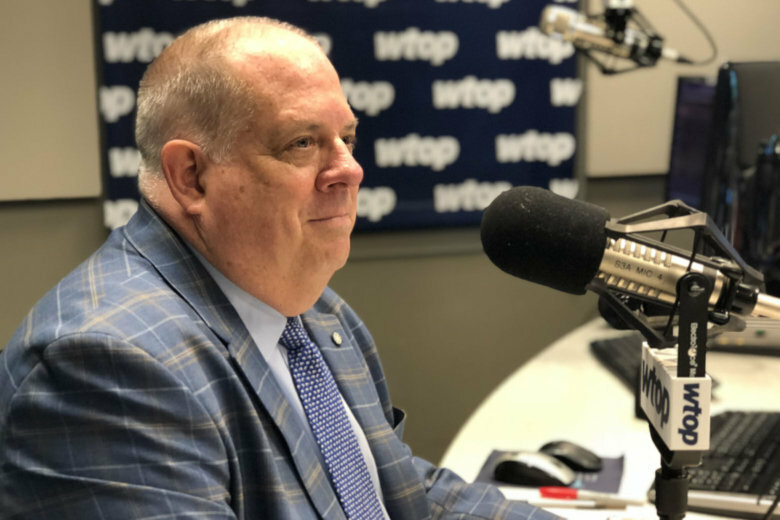 Larry Hogan said his administration is looking into why a series of threats over several years didn't trigger a stronger response before the suspected Capital Gazette gunman opened fire on an Annapolis newsroom last week. WASHINGTON — Maryland Gov. Larry Hogan said his administration is looking into why a series of threats over several years didn’t trigger a stronger response before the suspected Capital Gazette gunman opened fire on an Annapolis newsroom last week. Jarrod W. Ramos, 38, has been charged with five counts of murder in what police have called a “targeted attack” on the Capital Gazette newsroom on June 28. Police have said Ramos carried out a years-long vendetta against the paper stemming from its reporting on his 2011 guilty plea for harassing a former high-school classmate. The woman Ramos pleaded guilty to harassing said he sent her threatening messages online and said she was eventually forced to move out of Maryland. However, in that 2011 case, Ramos received what’s known as a “probation before judgment,” meaning the conviction was essentially expunged from his criminal record. Ramos filed a defamation suit against the paper. The suit was tossed, but Ramos appealed — and continued to make a series of disturbing social media threats against the paper, authorities said. The paper’s publisher said he called police in 2013 and even considered filing for a restraining order. Hogan said Maryland’s new “red flag” law, which goes into effect in October, might have allowed law enforcement officials to go to court and seek to temporarily restrict Ramos from having a gun. Police have said the shotgun Ramos used in the attack was legally purchased. “I think this red flag law, if utilized properly, could make a difference,” Hogan said. Hogan also praised the performance of police after the shooting. The White House announcement came after Annapolis Mayor Gavin Buckley said Monday that Trump had declined his request to lower the flags. “The mayor of Annapolis, apparently, did put a request into the president. I don’t know why it was confusing or exactly who said what when … I don’t know exactly when the request (was made) or what answer they got before, but I’m glad he made the decision he did,” Hogan said.